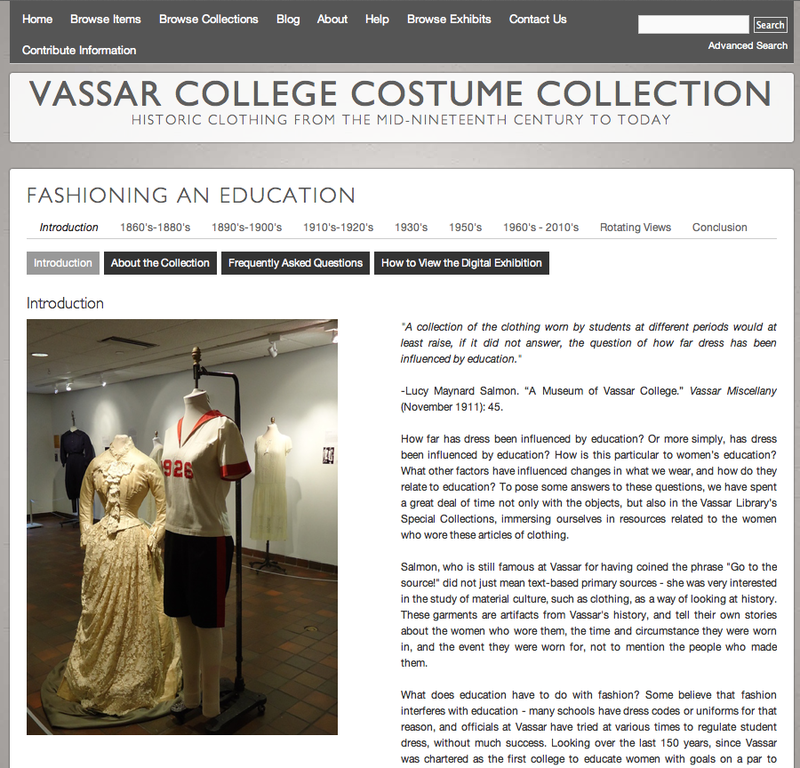 “Fashioning an Education: 150 Years of Vassar Students and What They Wore,” was held in the spring of 2011. To celebrate the college’s 150th anniversary, the Vassar College Costume Collection shared student, faculty, and alumnae research about the complex role that education has played to influence fashion. This exhibition showcased student clothing from the 1860s to 1950s and photographs of student styles from the 1960s to today. This was one of several exhibitions in Vassar’s Palmer Gallery over the years for which I was the Curator. This exhibition was the first to build directly on the work we accomplished in the Historic Costume Preservation Workshop, funded by the NEH in 2010, which you can read more about at http://www.ardenkirkland.com/work/portfolio/historic-costume-preservation-workshop/.